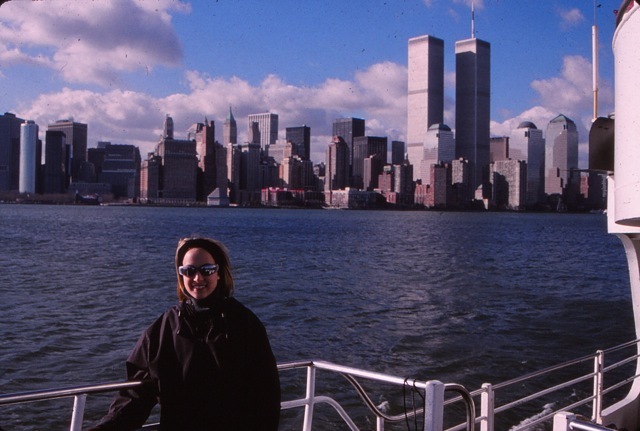 Shots from our visit to the World Trade Center in 2000. Pretty eerie stuff. Logan on our boat tour around Manhattan. 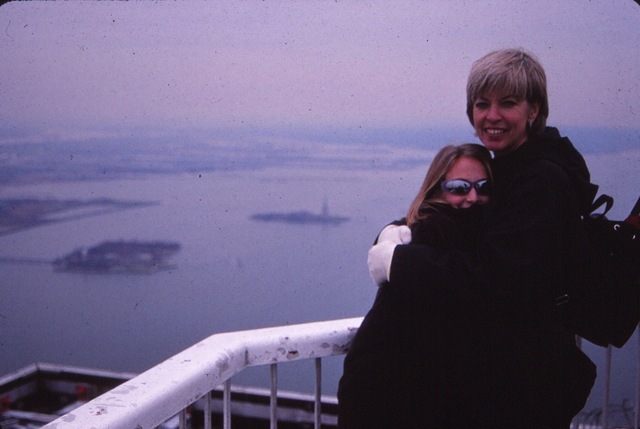 Judy and Logan on top of the south tower. 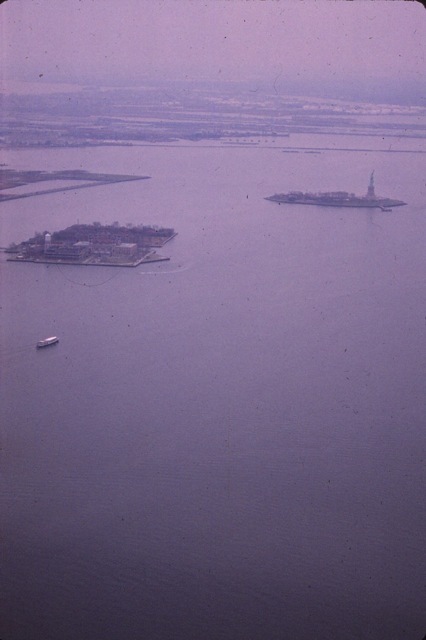 Another shot with the Statue of Liberty in focus. 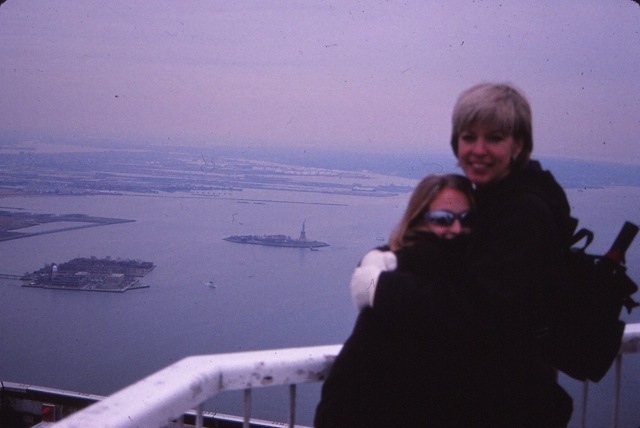 The last is just a shot of the harbor, the statue and Ellis Island. I'm still missing one shot that shows the top of both towers. As I said on the air Sunday, the most interesting part is that we were the only people on the roof - no guards or other tourists. The world has certainly changed.